Cushion bearing implants in joints can promote lubrication and decrease wear significantly. Hydrogels are candidate materials for articular cartilage replacement. We are testing hydrogels on our Pin-on-Disk tester and devising methods to characterize their wear properties. 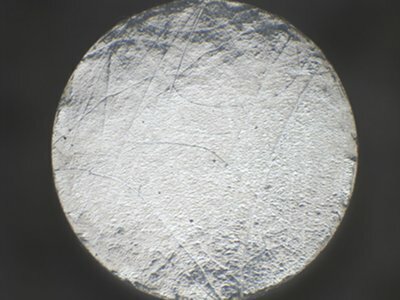 Wear rate is one of the parameters used in screening materials for orthopedic implants. We characterize the wear rates of clinically relevant materials using a Pin-on-Disk Tester. We also monitor the changes in surface topography and coefficient of friction of test samples to evaluate the effects of articulation.